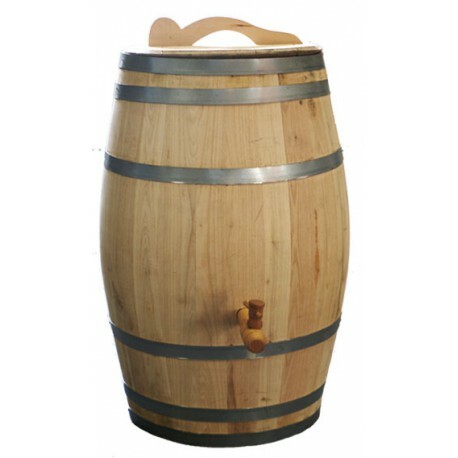 This high end rain barrel made out of chestnut can contain up to 26 gallons of rain water This unique rain barrel comes with a wooden crane and beautifully designed wooden cover. The lid has a beautifully shaped handle. 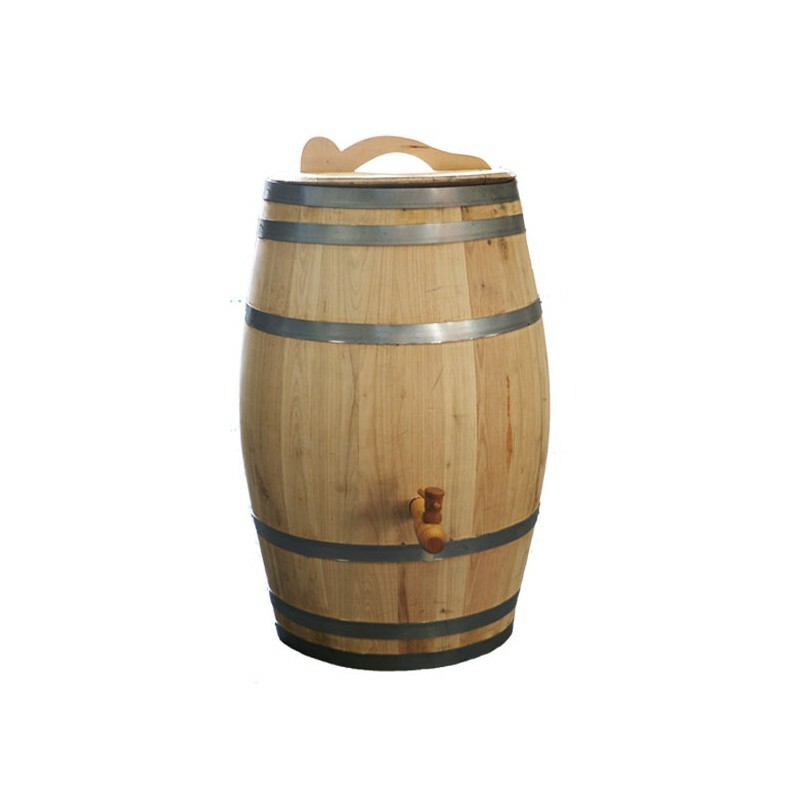 A rain barrel with a durable appearance of chestnut wood is an asset to any garden. We call this sustainable enjoy!